A dark, velvety, malty and sweet original ale, hand-crafted with devotion and love. Made with Australian dark caramelised malts and hops together with an old English ale yeast. Full-bodied and full-flavoured. 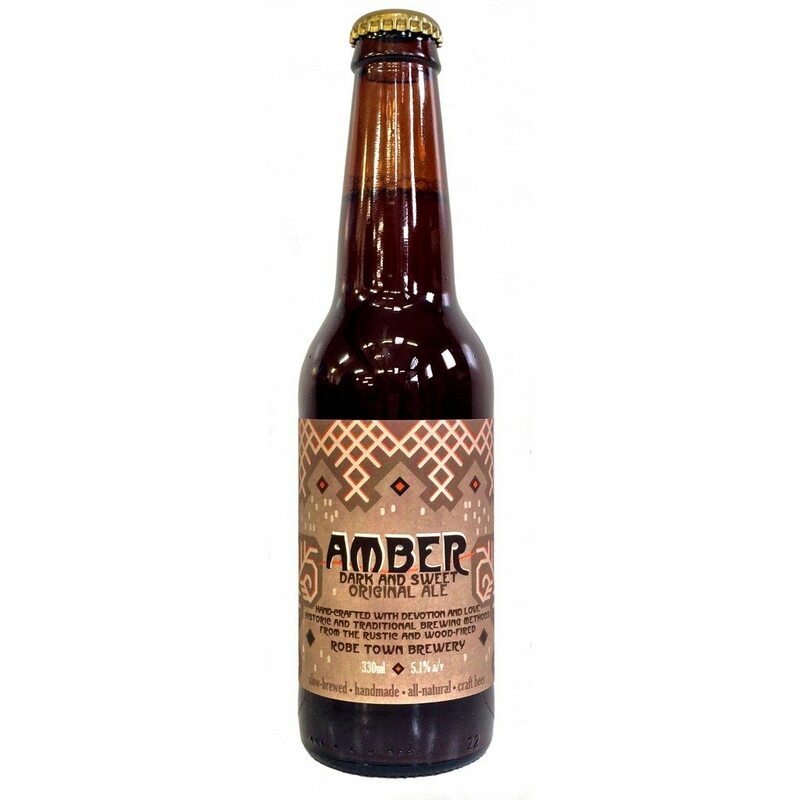 Sweeter and darker than classic amber ales, this is Robe Town’s interpretation of the warm amber gemstone in liquid form. Hand made and slow-brewed the good old way using oak barrel mash tuns, straw filtration, a wood-fired kettle and open fermentation. Bottle conditioned. Robe Town Brewery’s Amber Ale is a dark and sweet original ale, hand-crafted with devotion and love. A velvety, malty and deep amber coloured ale made with Australian dark caramelised malts and hops together with an old English ale yeast. Full-bodied and full-flavoured. Sweeter and darker than classic amber ales, this is Robe Town’s interpretation of the warm amber gemstone in liquid form. Hand made and slow-brewed the good old way using oak barrel mash tuns, straw filtration, a wood-fired kettle and open fermentation. Bottle conditioned.